Some things happen once in a lifetime, if they happen at all. Chances do not come as part of luck, mostly they are the result of work to get a chance. A project that fills me with that positive energy and gives me proof of my level is the book ‘Blue Goose’. 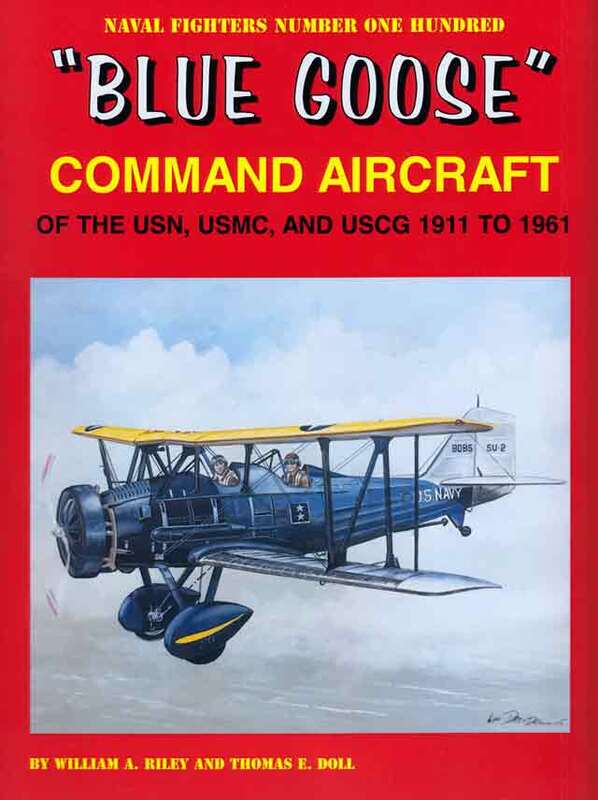 This is the book about the Command aircraft used by USN, USMC and USCG from 1911 to 1961. One of the authors of the book is my excellent friend Tom Doll. Many of you know him by his excellent books and I know him also as an extraordinary gentleman and friend. I am really fortunate to know him and have a chance to talk with him and work on this project. We started cooperation a few years ago, when I needed help with a book project of the Brewster Buffalo, he was recommended as a very reliable researcher in the field and he really gave great support in my project. Last year he provided me info of his book project and that he would need color illustrations. I gladly accepted this, no way to refuse a friends’ interest and on the other hand the project looked easy for me. The project looked easy? Well, my opinion is that US aviation is greatly documented and all is well known but that soon collapsed when I saw what subjects I had to do. First thing was technical drawings and in some cases they were not available. Even if they were available, some inaccuracy demanded additional work to be more perfect. Also, not all was known and easy to spot on images and there were some details related to markings. The list of subjects definitely demanded that I work from the best reference work and all that will be presented will be absolutely new and interesting. Tom was very friendly and whenever I had problems, he mailed me additional material, which was really helpful in work. Subject by subject, I released a set of the color profiles. On first estimate the total number was larger but faced with a large amount of orders from my other customers; it was really not possible to do them in time. At least my friend Tom greatly accepted the material I had made. Blue Goose is definitely the top reference work regarding US Command aircraft and it is my great honor and pleasure that I was included in this project. For me, this book is the crown of my illustrating output and it is definitely the best of total of 1600 color profiles I have published in various magazines and books. Sad to say that this is possibly the last book where my friend Tom will take part. This entry was tagged art, Blue, book, Goose, Srecko, US. Bookmark the permalink.